A richly evocative debut novel set in an exclusive summer colony along the east coast during the aftermath of World War II—for fans of Kate Morton and Jamie Ford. "The deepening relationship between Peter and Helen is portrayed subtly and convincingly. An engaging postwar melodrama." 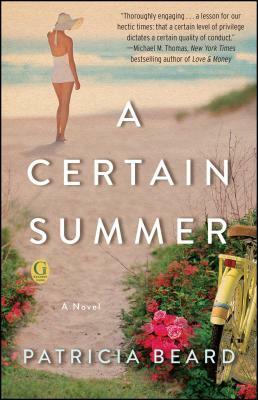 "I'm crazy about A Certain Summer...For anyone who has a summer place that they have adored, this book will bring up memories. Layer in the mystery of what happened in the war, and you have one really satisfying read. Patricia is known for her nonfiction work, and that background definitely infused this work."